The rapid advances taking place in the telecommunications industry offers your company an opportunity to have more features and pay less money for a phone system that can be designed specifically to meet your company's communications objectives. While there are many business communication options available today, it is important to know which ones can really deliver quality service at a reduced cost. Never missing a customer call. Offers built-in systems that provide system redundancies and failovers for your business. Allows you to make your own system changes reducing total cost of ownership. Warranted equipment that includes overnight replacement - 24/7. BCS has partnered with Star2Star Communications to bring you the highest quality business grade Voiceover Internet Protocol (VoIP) guaranteed in the industry. 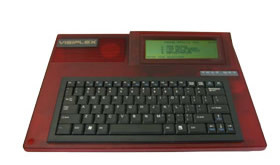 The Star2Star VoIP communications platform is a true unified communications platform. 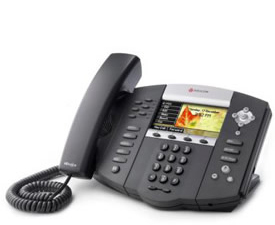 VoIP is the future of the telephone industry by connecting calls using your broadband internet connection rather than expensive copper phone lines. And Star2Star’s industry unique VoIP nationwide infrastructure delivers quality, guaranteed reliability and PBX features that are much richer than traditional PBX Systems – at a fraction of the cost. Do you need advanced features – such as intelligent call routing, find me/follow-me call forwarding, and voicemail-to-email forwarding? 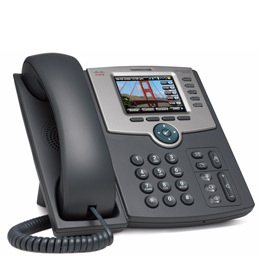 Does your business have multiple offices with separate phone systems and phone bills? Are you paying too much for long distance calls between offices or do you have an exorbitant phone plan that charges for those calls? If you answered yes to even one of these questions then call us now for a free demo: 540-344-5563. The BCS Star2Star system may be the perfect solution to improve your company’s communication abilities while decreasing your communication costs. Star2Star is the only telecom solution that completely integrates monitoring and management of your critical business telecommunication needs. You may have heard other companies claiming to provide “Business-grade Internet Phone Service” but no other system on the market today offers the quality and reliability of Star2Star. You may ask why? That’s because Star2Star controls both ends of the call path and offers an exclusive automatic 6-way system backup and failovers that assure your business calls will get through every time. Learn more about the benefits and features of Star2Star. BCS has been a partner with Tadiran Telecom since 1986. Tadiran Telecom has been developing telecommunication products used by some of the world’s largest telephone and communication companies, including GTE (Verizon), Bell South, Sprint and Fujitsu for more than 40 years. Their reputation for military-spec, telco-grade products, or ISO 9001-certified operations is why they have been chosen by military and federal government agencies as well as some of the largest businesses in the world. In addition to traditional business customers, Tadiran also provides communications solutions specifically for the healthcare, power, and rail/subway industries. Tadiran endeavors to provide superior solutions, support, and service to a global customer base. At the same time they strive to increase environmental awareness in the telecom market by utilizing “green technology” in their product development. Learn more about Tadiran Telecom’s best-in-class solutions.